Putting a pop-up stand at stores, malls or any place your target customers are located should be an essential part of your advertising plan. It is an effective way of getting the word out that your products and services exist. After all, how will you generate sales from your products and services if your public doesn’t know about them? Having a pop-up stand or two placed at key locations where your customers can see them will greatly increase your visibility and help you create more sales. We have just the right displays for you to use. 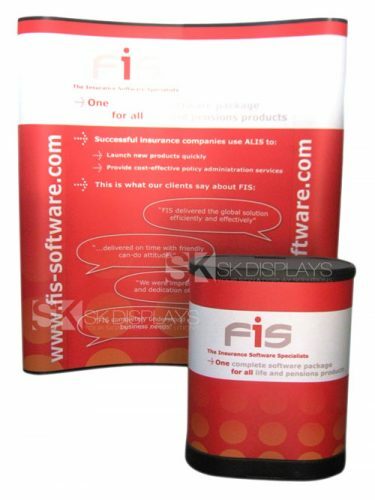 Our 3×2 pop-up stands are just the thing you need to help boost your advertising. 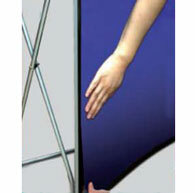 These displays we offer are compact. 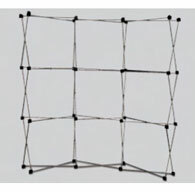 They are three cubes high and two cubes wide, measuring 2020mm/W x 260mm/D x 2310mm/H for straight models and 1910mm/W x 500mm/D x 2310/H for curved models. 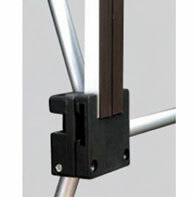 Their frame is aluminium with a silver finish, giving it a modern, professional look. These 3×2 curved pop up displays are definitely attractive, thanks to the set of high-quality PVC graphic panels that come with the package. 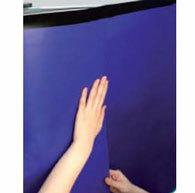 These graphic panels are printed in full colour and laminated so your images will stay bright, crisp and vivid. You have the choice to get them single-sided or double-sided. 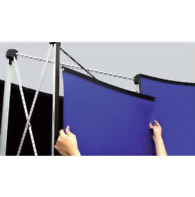 We do recommend the double-sided option, though, if you’re putting up these displays in a place where your target audience will have a 360-degree view of your booth. 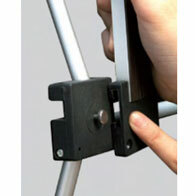 The double-sided option will maximise the power of your displays in this case. 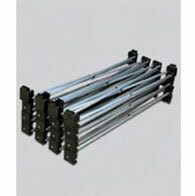 A pair of halogen lamps is also included with the set, and you can use these lamps to spotlight your displays. The carrying case for these pop-ups additionally doubles as a counter so you can have a surface to lay down your pamphlets and product samples. The countertop can also give you space for working while manning your booth. 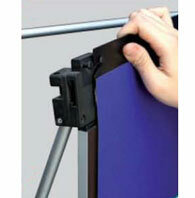 You’ll find that using our 3×2 straight pop up stand is quite convenient. You can set up your displays in less than ten minutes. 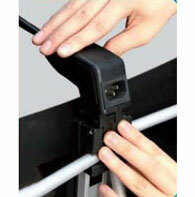 All you have to do is to pull at the aluminium frame until it stretches to its full width and height. 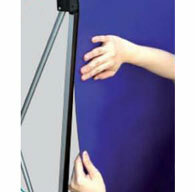 Then you attach the graphic panels using the built-in magnetic strips on the frame. The entire display will look neat and seamless once the assembly is completed. If you need the halogen lights, you just install them on the top of the frame. As for the counter, you only need to pull the graphic wrap that comes with it over its body until the body is completely covered. Then you put the wooden countertop over it. 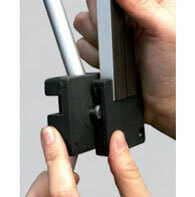 There are so many benefits you can get out of our 3×2 pop-up display. 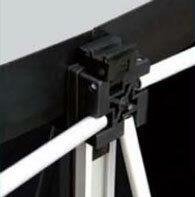 The frame is secure and durable, so it will stay up without giving you any worries. It looks professional and elegant; thus, you can use it at any event you want to participate in regardless of the venue. The carry case is fitted with wheels makes it portable, so moving your display from one location to the next becomes effortless. You can also easily stash this case inside your vehicle or store it conveniently away until you need them again. The biggest advantage you will get out of this 3×2 exhibition stand is this: You will save money on your purchase in the end. This product of ours already comes at a very affordable price. Because its frame is durable and its graphic panels resistant to damage and fading, you will get a lot of use out of these displays. 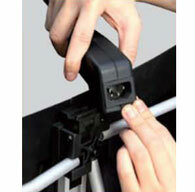 You can put them up at any event or venue without any problems. In case you do get tired of the look of your graphic panels and want a fresh design on it, you can still keep the frame and simply order a new set of graphic panels at a much cheaper cost. 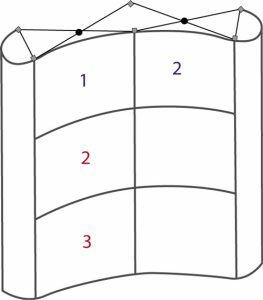 You can also mix and match it with other sizes of this display, namely the 3×1, 3×3 and 3×4. 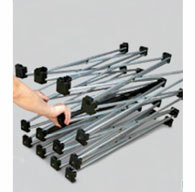 Buying this display set will prove to be a good choice for you in the end. This 3×2 pop-up stand will really help you increase the visibility of your products and services to your target audience. It will also provide you with a lot of benefits you may not expect. 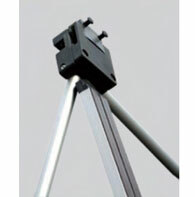 Call us and learn more about the benefits of our pop-up stands today.